NUATAN® is a new generation of bioplastic material for value added-products, which is both biobased, made of 100% renewable raw resources, and biodegradable, leaving no waste footprint in nature. The material was developed for companies, brands and designers with a vision to create value-added products with a positive impact on the environment. 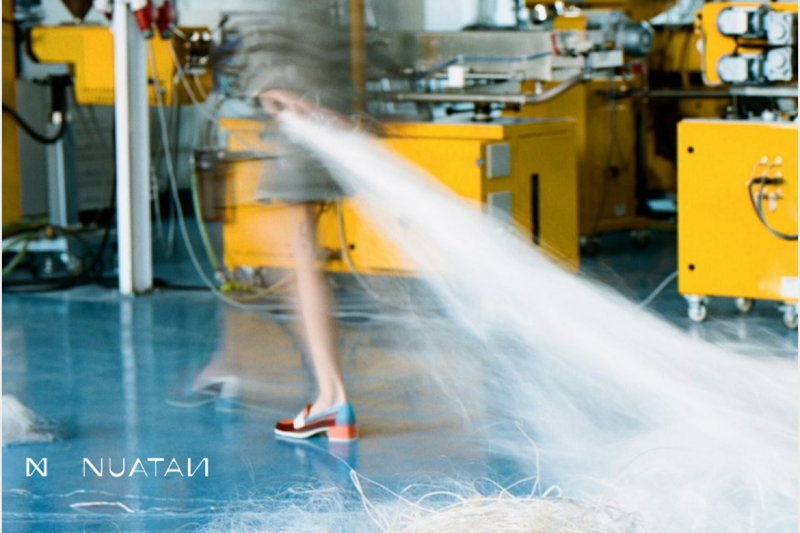 As a company with a strong sense of responsibility, NUATAN aims to accelerate the transition to a circular economy by optimizing the lifecycle of NUATAN-made products from the point of manufacturing to decomposing. NUATAN was born out of a long term transdisciplinary collaboration between team of prof. Alexy - material scientists from Slovak University of Technology, Panara company and design studio crafting plastics!. The result is a bioplastic with an aesthetic character which does not compromise on functionality and durability. We are looking for partnerships and collaborations on innovative projects applying our material for value added products. If you're interested in collaboration, contact us for a sample box with short description of the product you wish to work on. Using the patented Nonoilen® technology, NUATAN is made of 100% plant-based biopolymers Polylactic acid (PLA) and Polyhydroxybutyrate (PHB) produced out of plant-based resources such as corn starch, potato starch, used cooking among others. NUATAN is one of the first fully biobased and biodegradable materials that can be considered as a competitor to oil-based plastics in terms of properties and processability. The material can withstand temperatures of over 100 degrees Celsius and has an estimated lifespan of 1-50 years depending on blend composition. When put in an industrial composter, it degrades into water, CO2 and biomass. The second generation of NUATAN, currently in development, will biodegrade in home compost, soil and ocean water. NUATAN can be processed by standard plastic industry technologies like injection moulding, 3D printing, extruding, CNC milling, laser cutting, heat pressing, etc. With its unique attributes, the material is optimized for the production of reusable durable products with a strong focus on design, such as houseware, interior objects, furniture, toys, fashion accessories and consumer electronics parts and accessories, among many other.